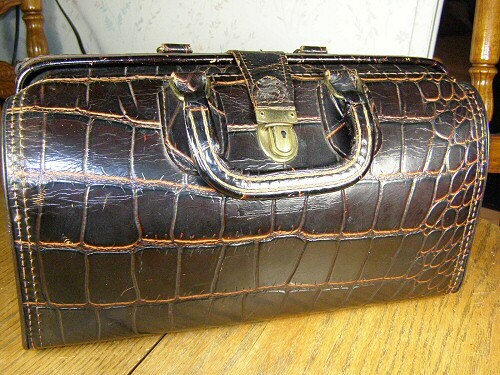 Even in the 1980’s you could be sitting in an airport anywhere in the world and recognize a fellow Upjohn employee by their alligator bag. 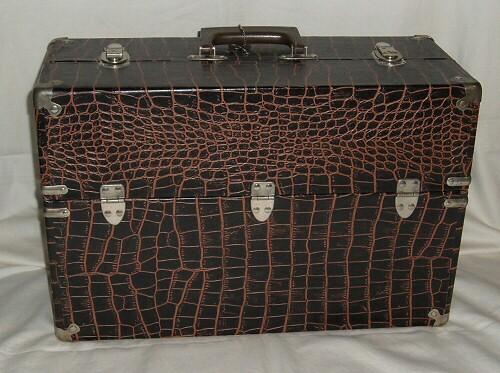 That alligator skin was unique to The Upjohn Company and very distinctive. 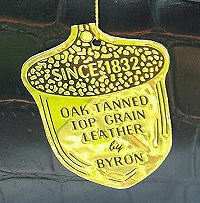 This started in 1910 when head of sales George McClelland decided his salespeople should have a badge of distinction. 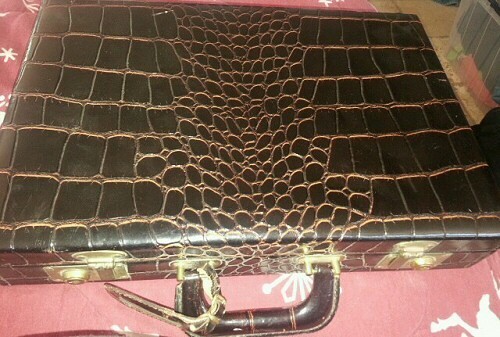 He designed a bag from alligator skin. 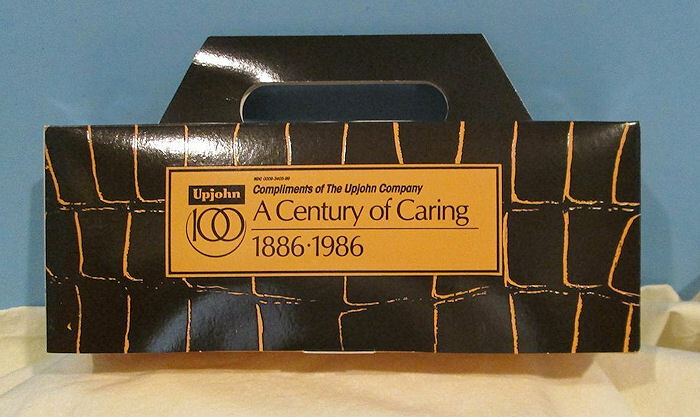 There are always a couple of them for sale on eBay if you want to own a special piece of Upjohn history. 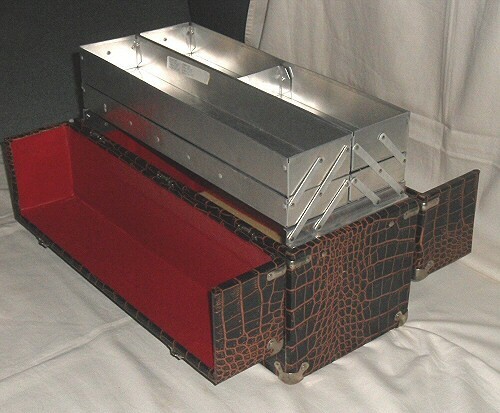 Here are two examples of the alligator skin bags and a sample case. 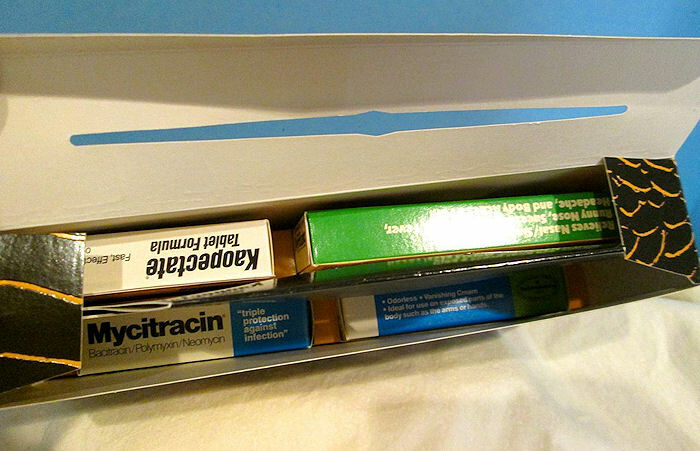 For an early bag in the Carol Orris collection click here. 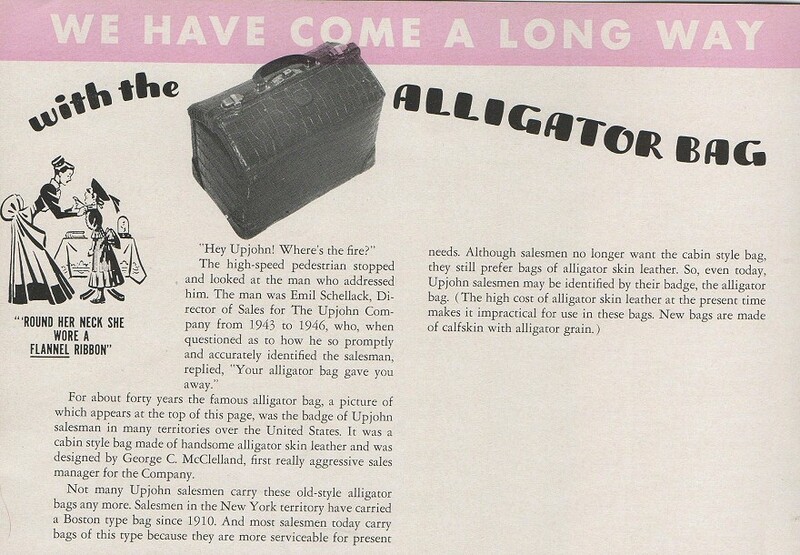 In 1986 as part of the centennial celebrations a miniature cardboard relica of the famous alligator bag was produced. 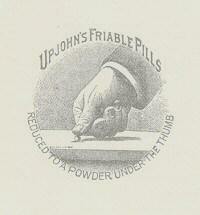 It contains a selection of over-the-counter Upjohn products. 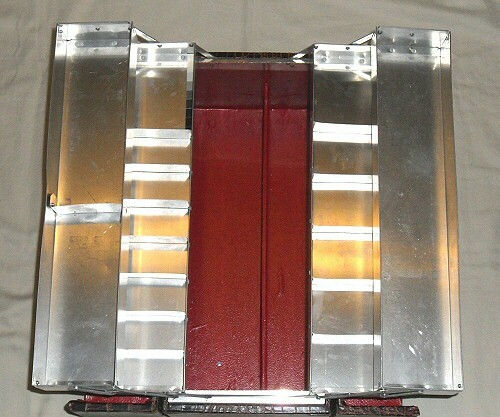 The one below was for sale on eBay in 2014.